“Social blindness” blocks out the view of the maintenance workers’ daily routine around our cities. Their presence is hardly acknowledged while their personal identities are lost. EXPONDO was recorded at 29ª Biennale de São Paulo, Brazil, a space dedicated to the appreciation of the visual. The biennale is an international exhibition space where a wide audience transits to appreciate contemporary art works. 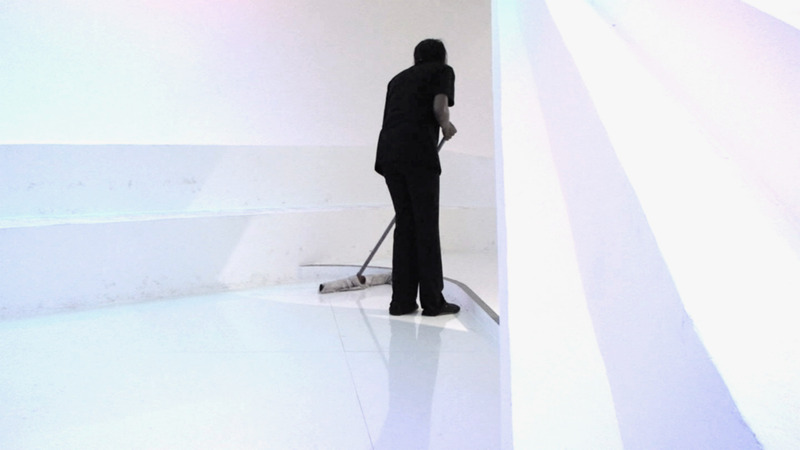 The cleaning and security staff, that interacts daily to maintain those spaces, is practically invisible. In EXPONDO, Alicia Felberbaum attempts to recover the worker’s visibility highlighting their routine movements and presenting them as art performance acts. Alicia Felberbaum (based in London, UK) (studied Goldsmiths, Master in Fine Arts, 1994) is an artist working in experimental video, new media and installations. 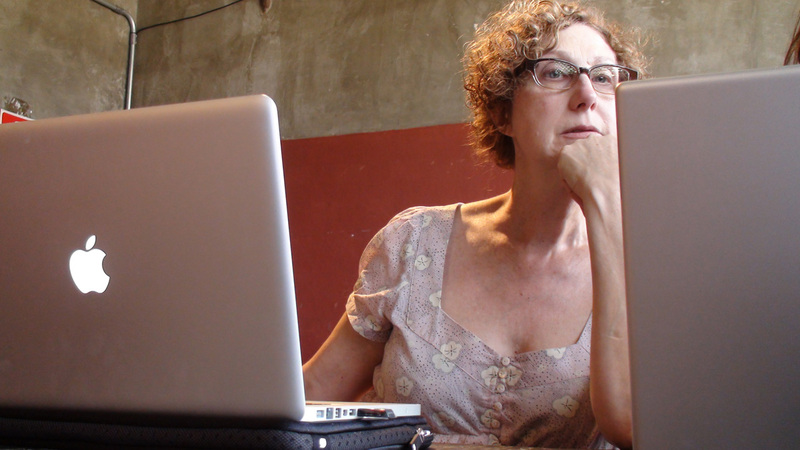 A recipient of several art grants, Alicia was awarded a Fellowship from NESTA (National Endowment for Science, Technology and the Arts) ) for research on the relationships between interactivity, databases, and the narrative form. Her work has been shown internationally in exhibitions and Festivals such as: European Media Art, Germany. Videoformes New Media & Video Art, France; Viper International Festival for Film and New Media, Switzerland; Sónar, Spain; Videobrasil, Brasil; FILE 2005, Brasil; Angel Row Gallery, UK; IMA, Institute of Modern Art, Australia; Axis, Netherlands. Member of the Exquisite Corpse Video Project (ECVP) and Human Emotions Project HEP. TraffficJam Web Designer.